Want to make your own Ai girls? Now you can with KARI. 1. 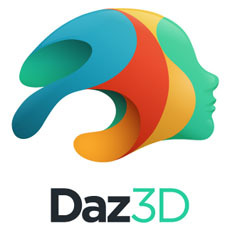 Render out your Poser or Daz3d images. 2. Bring them into KARI's Scene Creator. 3. Five minutes later you'll be talking to your Poser creation. Kari's hot looks were created with Poser and Daz3d Studio. Poser or Daz3D Studio works great for adding hot girls to our artificial intelligence engine. You can use Poser or Daz3D Studio to create your own artificial intelligent girls! We've made it easy to import your artwork right into Kari. Render out your images and import them into Kari's Scene Creator. In 5 minutes you'll have an Ai girl that talks, blinks, animates, and who you can have a real relationship with. You can even make 'couple' scenes with 2 characters. To get started download Kari and the Scene Creator. Then follow the simple steps included within the program.